Alison Wilding is an experienced musculoskeletal physiotherapist and hand therapist. She qualified in the UK in 1987, and since then has worked in both hospital and private practice settings. She became especially interested in hand injuries and became a Registered HT in 2004. She has additional qualifications in acupuncture and adult learning and is currently undertaking postgraduate study at AUT in Health Sciences. Her skills include manual therapy techniques, splinting, and the holistic management of persistent pain. She enjoys all aspects of patient care and upper limb rehabilitation, especially acute hand and wrist injuries, thumb arthritis and tennis elbow management. Alison established In Touch Hand Therapy in 2009, and is one of the two current co-directors. Alison has appointments available at the Hornby and Lincoln branches. Karyn Butler is an experienced physiotherapist and registered hand therapist having specialised in hand therapy since 2008. 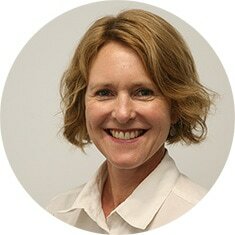 In her career of 25 years she has gained broad experience of orthopaedic and sports physiotherapy in private practice and hospitals in New Zealand and the UK. Karyn has post-graduate training in manipulative therapy and acupuncture, been a physiotherapy tutor and musculoskeletal clinical specialist in a UK orthopaedics department. Her particular interest in hand therapy is in sports injuries, fracture and post-surgery management. 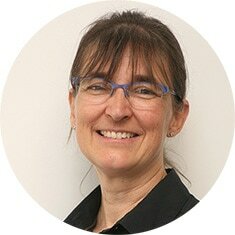 Karyn likes to empower patients to take control of their upper limb injury through a thorough understanding of their condition and how to manage it – particularly by using effective exercises and comfortable splints. Karyn and Alison have worked in partnership since 2014 growing In Touch Hand Therapy with the aim of providing excellent, specialist care of all patients with upper limb problems. Karyn has appointments available at the Rolleston and Hornby branches. Neil Clapp graduated from Otago Polytechnic with a Bachelor of Occupational Therapy in 2011. 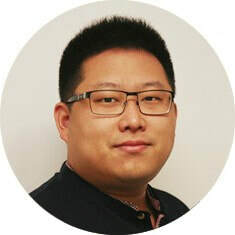 He worked in vocational rehabilitation for several years, before completing his Postgraduate study in hand therapy in 2014 and became fully registered in 2016. Since then he has worked as a hand therapist in private practice. Neil takes a holistic approach to patient care and enjoys helping patients meet their rehabilitation goals. He also has an interest in massage therapy and has gained additional qualifications in this area. Neil has appointments available at the Rolleston and Hornby branches. Kevin Deng graduated from the University of Otago as a physiotherapist in 2014. He started his Masters in Orthopaedic Manipulative Physiotherapy in 2015 and worked in Dunedin for a year before moving to Christchurch in 2017. Since then Kevin has consolidated his physiotherapy skills at Rolleston Sports RehabNZ and Waltham Physiotherapy clinic before deciding to focus on therapy for the upper limb, joining In Touch Hand Therapy in January 2018. Kevin’s treatment approach uses “hands-on” therapy techniques along with exercise prescription. His pleasant, caring manner enables him to build a good rapport with his patients. Kevin also speaks Mandarin Chinese. An Associate Hand Therapist, Kevin is completing a Postgraduate Hand and Upper Limb Training Programme through Auckland University of Technology. Kevin has appointments available at the Rolleston and Hornby branches. Mr Ram Chandru is an orthopaedic hand surgeon who attends the clinic on a monthly basis. He has been available to review radiology, perform corticosteroid injections, refer for advanced imaging and offering guidance on the conservative management of complex hand injuries. When necessary he has been able to book patients for surgery – to date repair of acute UCL ruptures, surgical release of de Quervains, TFCC repair and debridement and stabilisation of unstable DRUJ problems. This service is available to both ACC and private patients. Hand Therapists are either physiotherapists or occupational therapists with an interest and passion for treating hand and upper limb injury or conditions. Registered Hand Therapists (RHT) have undergone additional postgraduate training, a period of supervision and peer review, gained at least 1800 hours of experience treating hand injuries and conditions. Through different routes they have achieved the status of Registered Hand Therapist. In New Zealand this process was established and is maintained by the NZ Association of Hand Therapy. Every 2 years registered members are required maintain their place on the register with additional courses, conferences etc.